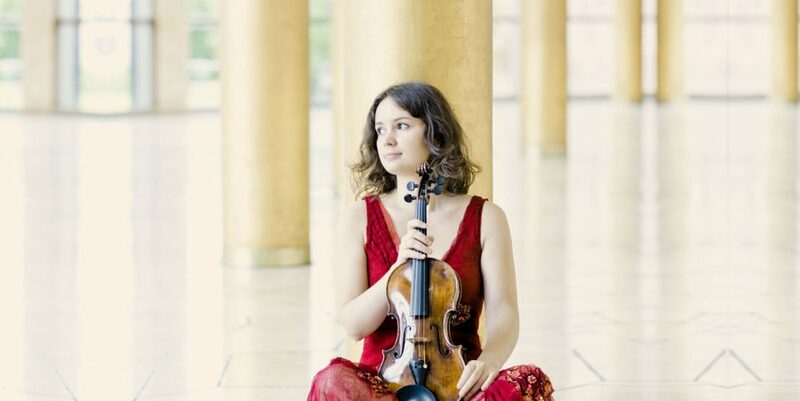 In less than three weeks, Montréal audiences at the Classical Spree will have the opportunity to discover the incredible Moldavian violinist Patricia Kopatchinskaja: an audacious and absolutely unique classical artist. Born in Moldova to a family of musicians, “Pat Kop”, as she is sometimes nicknamed, grew up surrounded by the sounds and rhythms of the traditional folk music that her parents played for a living. This instinctive approach to music would have an undeniable influence on her independent nature, despite her formal classical training. At six, she began the violin. At 13, her family moved to Vienna to allow her to pursue advanced musical training. She studied not only violin, but also composition. Even though she is a rising star on the international classical stage, with invitations from the biggest ensembles, such as the Berliner Philharmoniker, Patricia Kopatchinskaja is still relatively unknown in Québec. Her appearance at the Classical Spree for two performances is a rare occasion to hear her perform. On August 31 at 8:45pm, Patricia Kopatchinskaja will play at the Maison Symphonique with the OSM under the baton of Kent Nagano. On the program are Bartók’s Concerto no. 1, Kodály’s Dances of Galánta, and Brahms’ Hungarian Dance No. 6. The second concert will be dedicated to Schoenberg’s Pierrot Lunaire, in which the violinist will also take the starring role and will perform the “sprechgesang” or “spoken singing” herself in addition to playing her instrument. She will perform alongside musicians from the OSM and cellist Matt Haimovitz. This concert will take place September 1 at 1pm, at Cinquième Salle.